Halloween Edition – best costume wins a very special prize! Legend is a word used all too often these days, but when it comes to Doc Martin, there’s hardly a better description of the humble man that has been there from the very beginning. Easily one of our favorite DJs, he whips the dance floor into an absolute frenzy every time he’s behind the decks. 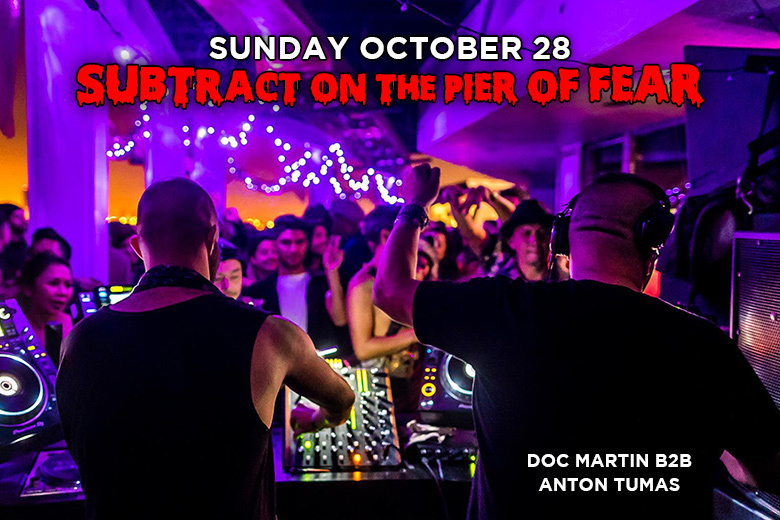 For the 30th edition of Subtract On The Pier, he will be performing an extended 5 hour B2B set with our founder Anton Tumas. Supporting set by Junior.